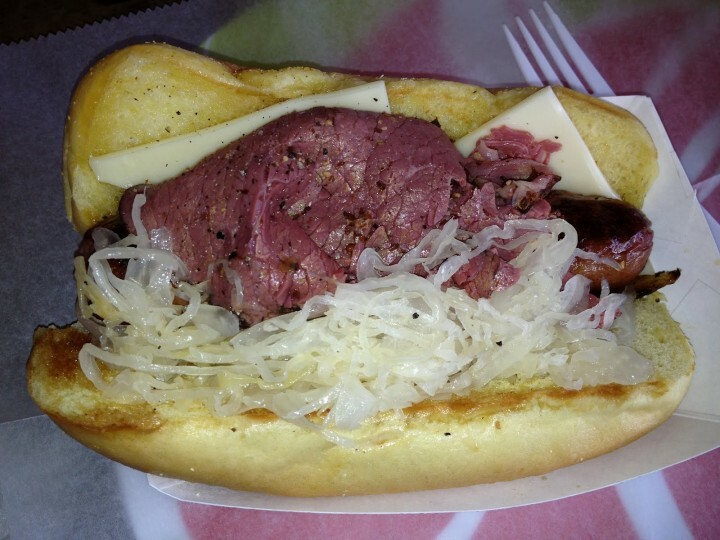 Hebrew National or Vienna Beef split and char-grilled, topped with moist and delicious pastrami from award-winning "Corned Beef King," sauerkraut, melted Swiss cheese, and angry sauce. Served on a toasted bun. A GAHD creation.